On Saturday morning, I woke up to the call that Olive had successfully made it out of surgery and was stable in the PICU. After my parents found out what was going on, my mom had gotten on a flight as soon as possible, so she was already on her way to help. Eric’s parents, who were in Utah for a wedding, were planning on coming back as well. Our cousin Amber came to watch Josie while I went to the hospital, and I again rushed out the door. It would be the beginning of a very long two weeks. I walked into the hospital room to find Olive hooked up to a plethora of machines, with even more wires running from her. She had a gauze turban around her swollen head, and a breathing tube running from her throat. As hard as it was to see her like that, I was full of so much gratitude that she was alive and I was comforted by the sudden knowledge I had that she was going to be okay – I just didn’t know how. We spent the rest of the day sitting next to Olive’s bedside, holding her hand, and talking to the nurses. She was heavily sedated and would hardly move or open her eyes. It was comforting, though, to know that she wasn’t feeling pain and that she wouldn’t remember one bit of this time. Olive would make the occasional movement, especially when the doctor would come in and pinch her foot or poke her arm. Since her injury was to the left side of her brain, the focus was placed on her moving the right side of her body. The best part of my day was when the doctor came in and saw her move her right leg. I remember him saying she was “remarkable,” and my heart leapt. Our little girl was fighting to survive. The neurosurgeon that did Olive’s surgery, Dr. Ling, came in to speak with us later in the day. He explained that there is a period of 96 hours after brain surgery where it’s very “touch and go.” We basically had to sit and watch to find out how baby’s body was going to respond to the injury. We didn’t know what specific portions of her brain were hurt, so we didn’t know what would be affected. Also, when a brain is injured, it takes time for it to respond to the injury and to establish whether a part is simply injured, but still functioning, or dead (meaning it was deprived of oxygen for too long). My mom showed up around 1:30 pm and sat with us for a while. She was with me when Olive was born and felt such a special connection to her. I was so glad that she was able to be with me during this time and be such a strength and comfort to me. The next few days were spent sitting, talking, and watching. I would sleep for a few hours at night while my Mom sat with her, and then would sit with her during the day while my Mom slept. Eric would come during the day and bring his Bar exam materials. We would read questions to each other – believe it or not, he still planned on taking the exam. Olive began having seizures on the second day, which were not brain-damaging, but more her brain responding to the injury that had already occurred. She was put on three different seizure medications, which have now been whittled down to one. On the third day, she received another CT scan and later an MRI to determine the complete damage on her brain. The results were incredible. Where there was once a huge mass of blood, her brain had moved back into place. The neurologist who spoke with us, Dr. Reggin, explained that there had been a significant stroke on the left side of her brain, but it was on the surface, rather than in the central gray matter. On the right side, there was a pocket of blood in the cerebellum, but this was expected to absorb into the brain. Overall, Dr. Reggin said that he felt “cautiously optimistic.” He told us that he is the “slow doctor,” so we can only see how Olive’s brain will work over time. More waiting, but by this point we were getting good at it. The next days were marked by milestones, which all seemed like little miracles. Towards the end of the third day, Olive was taken off of sedation and opened her eyes for the first time in days. On the fourth day, her breathing tube came out. I have never been happier to hear a baby cry. And then…one week from when she arrived in the PICU, Olive was determined to no longer be “critical.” We were sent to the Pediatric Oncology wing, where I could sleep in the room with Olive and we would spend the next week learning to eat again and taking the time to heal. I kept waiting for signs that Olive had had a severe brain injury, but miraculously, she just seemed like a normal one month old. My Dad was finally able to visit the weekend after we left the PICU and was amazed by how well she was doing. It was hard to tell that anything was wrong. In the weeks following her surgery, Olive got more and more jaundiced, so we visited with a gastroenterologist, to ensure that there were no problems with her liver. After numerous pokes, blood draws and tests, another miracle – everything was fine. Olive will be yellow for a few more weeks, but everything will resolve itself in time. And after all of that, if you didn’t see the scar across half of her head, it would be hard to tell anything was wrong. Olive is nothing short of a miracle. After seeing her condition the first night and seeing her now, only two weeks later, I am still in a state of disbelief. Countless doctors and nurses told me what amazing progress she was making. She took to nursing again like a champ. She is moving both sides of her body, with very little difference in strength. And since her surgery, we have all been able to see her beautiful smile. There will still be struggles from here, I’m sure. We are uncertain of what Olive’s future will bring, or what challenges this brain injury will cause. But despite all of that, I am so grateful for the blessing that she has been to our life thus far and all that she has taught me about the love of God – and of all people. Above all, I have never been more aware of God’s concern for every life, even the newest and smallest. And I will forever be thankful for that. Tags: miracles, Olive, VKDB. Bookmark the permalink. I’m crying tears of joy here. Bless you Stefani, and bless your family! I am so glad she is doing well! Tears of happiness for olive and your whole family! I’m so happy that sweet Olive is doing so well! So glad that you all are home & together! My daughter suffered a bleed in her brain before birth, sometime around 30 weeks gestation. The stroke is evident, but she is amazing. From looking at a CT, you would assume she was completely non functional and she’s a mostly normal 9 year old. You are at the beginning of your journey and I wish you all the luck in the world. I would urge you to look up CHASA, a non-profit organization for parents of kids who have had strokes and/or who have hemiplegia (the cerebral palsy condition that often results from a stroke, affecting only one side of the body). They were a godsend to me in the early days. So many parents with so much advice and love and support. God bless you and Olive and the rest of your family. Thank you so much for this, Maggie. It’s so comforting to hear positive stories of babies that have suffered strokes and still gone onto live happy lives. I will definitely be looking up CHASA! It sounds like a great community of people. Our nine year old daughter has an arachnoid cyst and hydrocephalus. She too suffered a pediatric stroke that resulted in the loss of her left temporal lobe. She does have some short-term and working memory deficits, but otherwise, she is an active, healthy little girl. Most people are shocked when we tell them her story. As our neurosurgeon explains it, the brain has an incredible capacity to remap itself. So happy to hear Olive is doing well and looking forward to reading of her continued progress. So happy she is doing well! I know what it feels like to have a baby in the PICU my son got e.coli meningitis at 3.5 months old and from that infection ended up getting an abscess on his brain which caused a seizure. Reading your story brought me back to that fearful time and also the time that faith was all we had to hold on to. It’s amazing the miraculous things that happen when science says differently. My son is still on Keppra but is a happy healthy 13.5 month old and you would never know he was that sick. Prayers to your family! Your story is so touching and I’m sitting at my desk crying. I have two daughters and currently 35 weeks pregnant with daughter #3. My second eldest is named Olive and reading this I just had a flood of emotions. I can’t imagine what you and your family went through and thank God your daughter is better. I am deeply moved by every aspect of your story. We are so blessed to have beautiful six week old twin girls in our family now, so I am especially aware of the value of miracles, the power of love and how fortunate we are to live in a time when the medical profession is so knowledgeable and skilled. My prayers are with you! God Bless!!! Wonderful blessings on your family. The faith and prayers of so many have worked miracles. It’s wonderful to hear about Olive’s strength and I can feel the love for her in your words. I had no vitamin k when I was born (and it wasn’t standard to give the shot when I was born in the UK). Obviously I don’t remember it but from what I’ve been told my parents’ experience was similar to yours (I also had a two year old sister). Just so you know I turn 30 this year and I’m positive my mum’s support (she never left my side) got me through that time. Olive is a very lucky girl to have such a caring family. I am so sorry your daughter has had to go through this. My son had VKDB in 2004 when he was 5 weeks old. I have tried to get the word out so that others would not go through the same pain. It wasn’t until about a year or so ago that I found other parents whose children had this. I really believe we need to band together and form a national group and work together educating about the importance of the Vitamin K shot. One of the objections that people have is the additives and or preservatives in the shot. It would be good to have a conversation with scientists about maybe making the shot even safer. My son ended up with extensive brain injury. His initial bleed was in the left occipital lobe but his whole brain was pushed past the mid-line creating massive global damage. He was given a drug called Factor VII to clot his blood immediately – the vitamin K shot would have taken over 12 hrs and he would have died. They went in and did immediate brain surgery to stop the bleed. His left bone flap was taken out of his head and put in the hospital freezer to allow for swelling. He was on a cooling blanket for about 24 hrs. The nurses told us after he was out of the initial critical 48 hours that the doctors thought he had a 1% chance to live. He also was in the PICU for exactly one week and was on the regular floor for a week and went home on day 14. He also took right back to nursing like he never left. Soon after he left the hospital, he started screaming a lot. I believe he continued to incur more cell death in his brain. I have read that many stroke patients have massive headaches. I think that was how it was for him. At about 6 weeks post initial surgery they put his left bone flap back in his head. I pray and hope that your daughter has much less damage. Today Austin is very happy but physically much like an infant. It has been such a journey. A therapy that I would encourage you to try is called the Anat Baniel Method. And Hyberbaric Oxygen is also a great healing modality and of course ultimate nutrition. Thank goodness you are nursing that will help her so much. I also took fish oil to help make my breast milk healthier. Coconut oil would also be amazing to help Olive. My theory has been that I know I can’t heal his brain but I can enable him to use what he has to the best of his ability by giving him ultimate best nutrition that I can. Sorry this is so long. If you would like to talk you can email me at jenwade@centurytel.net. I have a blog at http://www.mothersquest.wordpress.com. Take care and prayers and hope for Olive. You’re so sweet, Ana. Thank you so much for this comment. Olive is such a blessing to me and really has strengthened my testimony so much. I’m glad she can do the same for others. She’s proof that miracles do happen! What a little fighter you have on your hands! I was checking out your blog after seeing your comment on my about me page and my husband probably thinks I’m either pmsing or crazy because I’ve been sitting here crying at the computer screen! 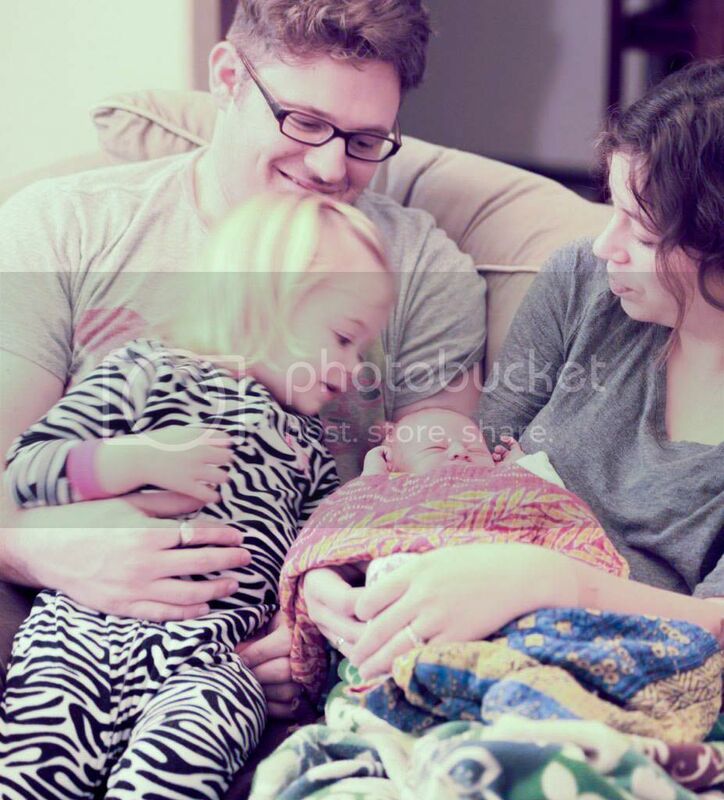 I’m so glad to see that she’s pulled through :] You have such a beautiful family and I love your blog!